The Eighteenth CSE Media Fellowships Urbanscapes: how sustainable are our cities? What makes a city a city, apart from its people? Local architecture and building material, urban design, the mobility infrastructure all come together to make it conducive to 'good living'. What are the essentials then, which need to be taken care of while accommodating the modern demands of designing and retrofitting our urban space? How local architecture is fast being replaced by a standard 'modern' style, stripping our cities of natural weather control, increasing energy consumption and carbon footprint and contributing to the loss of the cities’ 'individuality'. On the flip side, how there are examples of cities or communities reverting back to tradition, using processes and technologies or innovating with building materials to create spaces that are comfortable, livable and environmentally benign. Our cities boast of rising private vehicular traffic, but where is that leading to? Public transport infrastructure has to be thoughtfully designed to lure people away from cars. To successfully steer the public towards public transport, we need to put in place 'transit oriented transport' – are our cities doing that? Cutting down on usage is better than recycling. What is this usage and waste generation cycle? How can it be demystified? Cities are grappling with the problem of waste. What is being done to manage this at the individual, community and city levels? Does managing waste fit in the agenda of 'good living'? How are urban planners and government agencies looking at the issue? Three months – December, 2013 to February , 2014 – with one month of travel time and the other two for research, writing, publication and submission of stories and features. Selected fellows will each receive a stipend of Rs 50,000 (subject to tax deductions at source) to support research, travel and writing between the given period. The stipend will be released in two instalments – the first as a travel grant at the start of the fellowship programme and the second after its successful completion. Udaipur is a tourist destination famous for its lakes and heritage. 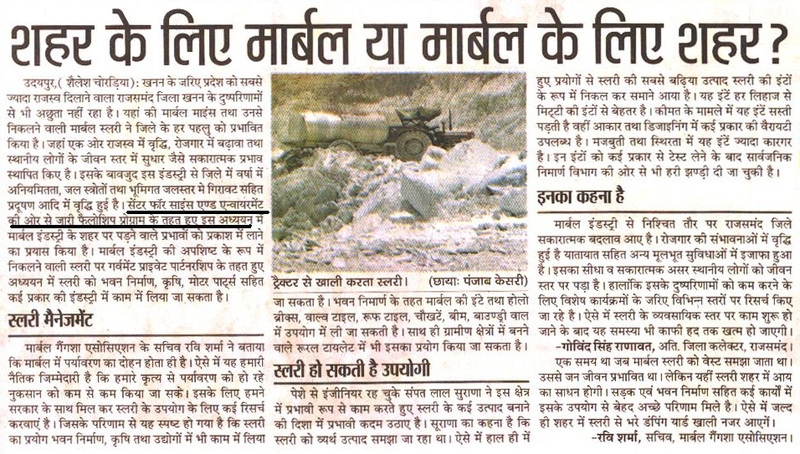 Rajsamand is a centre of the marble and granite mining industry. 1. Assess sustainability on the basis of scope of addition/alteration/extension/expansion of the cities. 2. 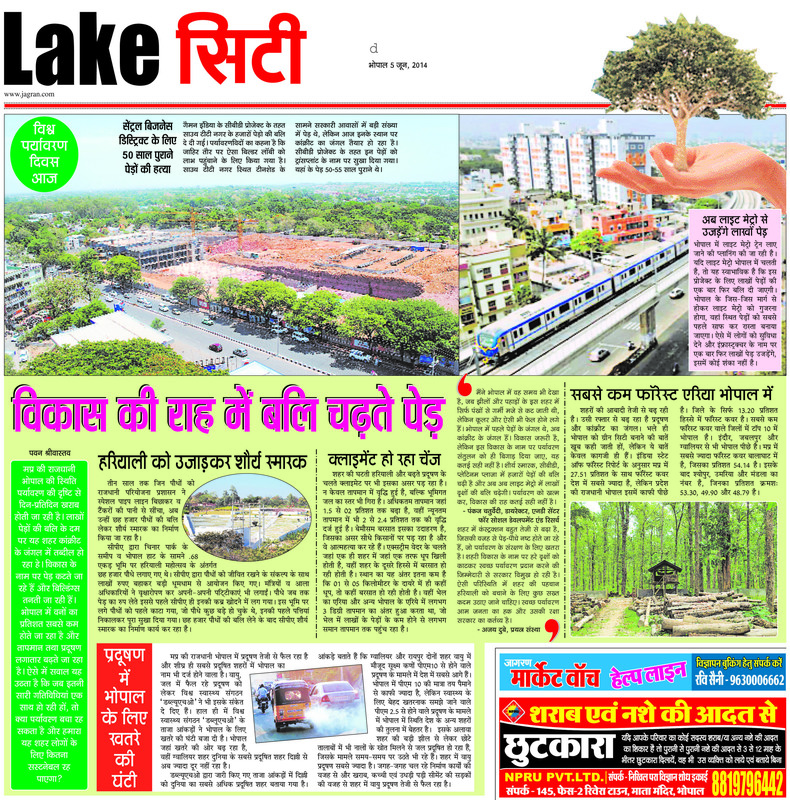 Impact of tourism and housing development. 3. Innovative and energy-efficient building plans. 4. 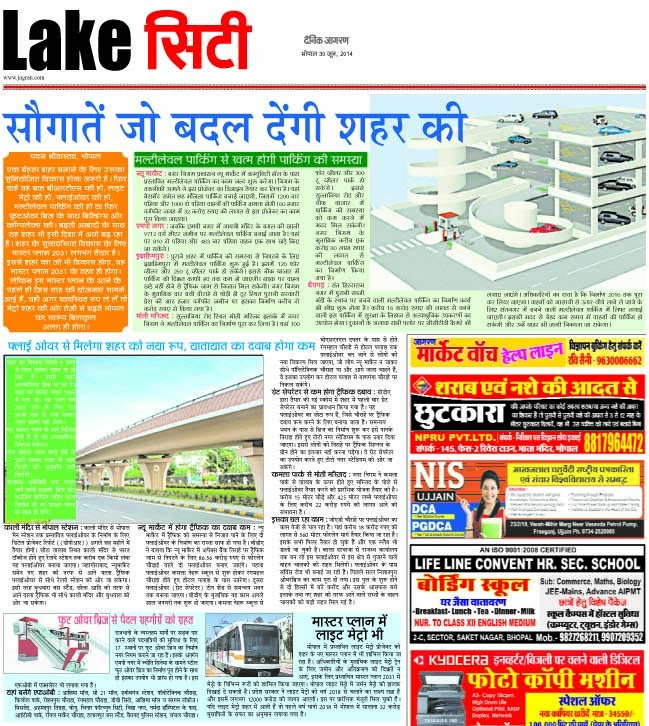 Local initiatives in newly developing colonies/localities. 5. Experiments, innovations in building material and designs. 6. 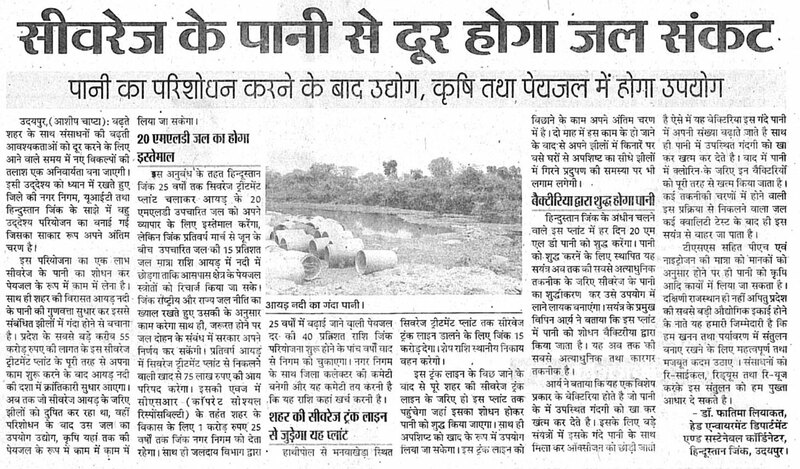 Impact of the stone industry of Rajsamand on the city and its lifestyle. 7. 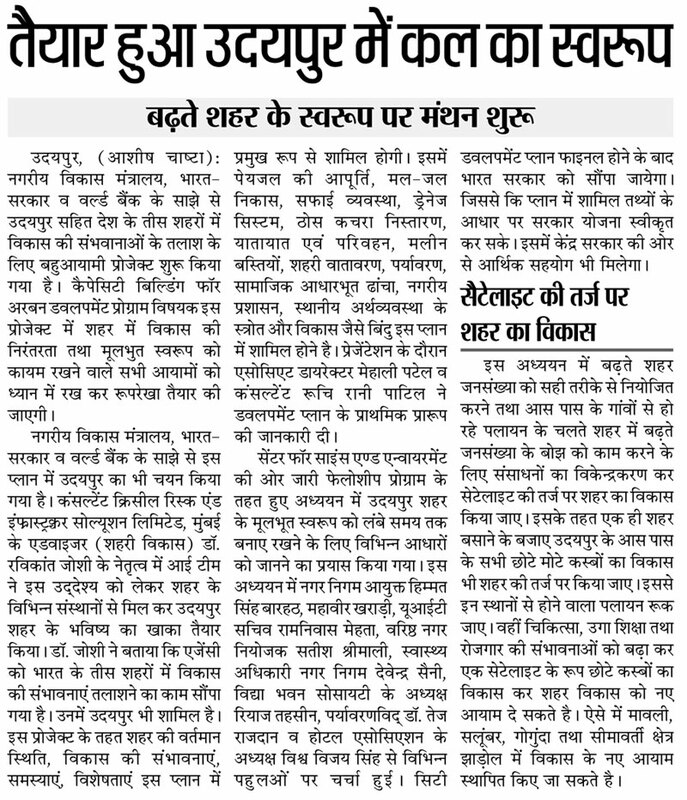 Management of waste generated by the marble industry in Rajsamand; other impacts. 1. Kashmir is located in high seismic activity zone; its houses and buildings are more vulnerable -- proper architecture is an imperative. 2. Traditional construction practices, with imprints from central Asia, seem to be in danger today. Ugly and uncomfortable cement and concrete structures are replacing the once warm and cozy brick houses (raised in mud) heavily interlaced with timber. The old construction practices are now deemed obsolete and unaffordable, thanks to pressing demands of modernity and the paucity and exorbitant prices of timber. But the new techniques are neither suitable for the cold climate of the region, nor earthquake-resistant. 1. 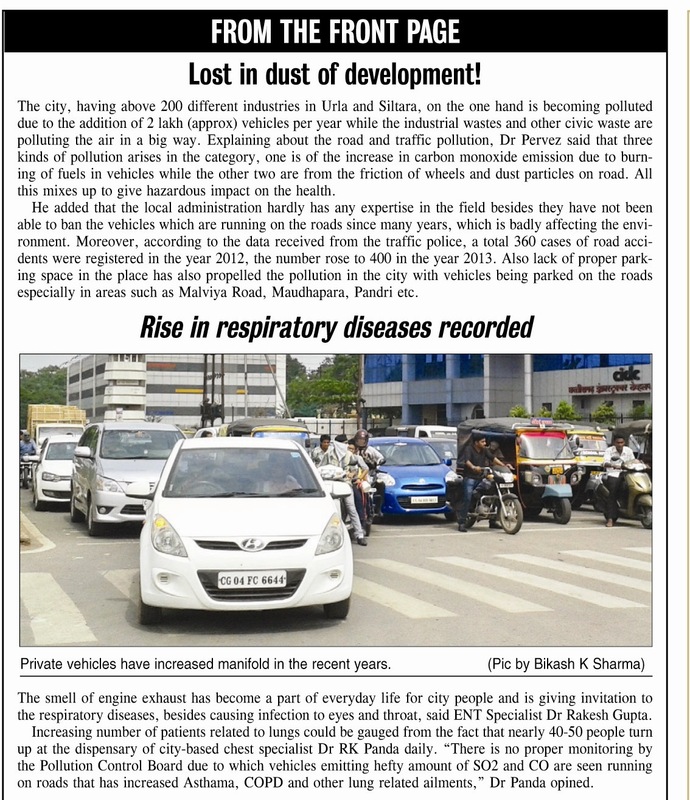 According to a CSE survey conducted in February 2013, Raipur is among the five topmost polluted cities in the country having critical levels of PM10 in its air. 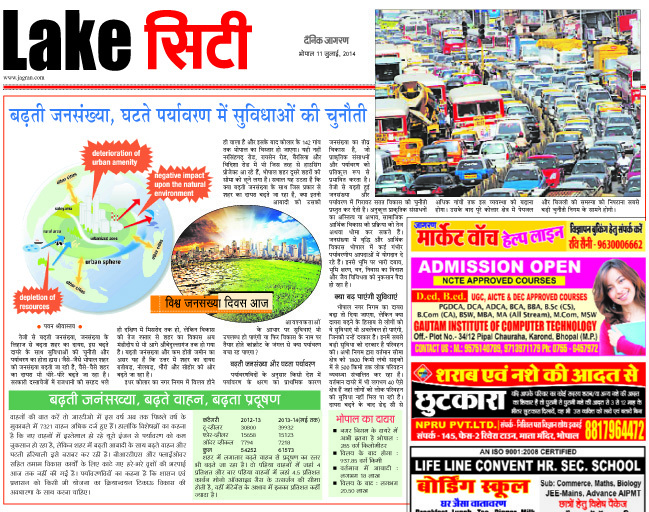 Raipur also suffers from a crisis of public transport and increase in private vehicles. 2. 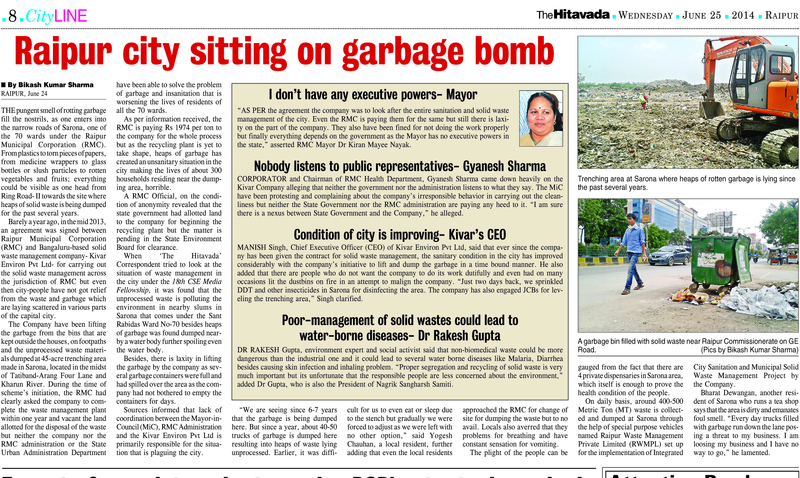 Resolutions have been adopted by both Raipur and Bilaspur Municipal Corporations to recycle wastewater, but nothing has been implemented. 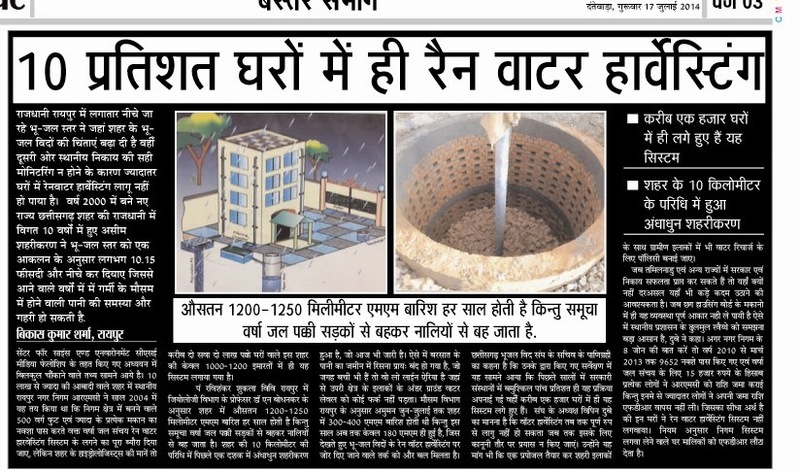 A plan to begin rainwater harvesting in Raipur also remains on paper. 3. The RMC has initiated a solid waste management programme in association with a Bengaluru-based private company, Kiwar Environ. But this is just a waste collection programme; there are no plans for treating and recycling the waste. 4. 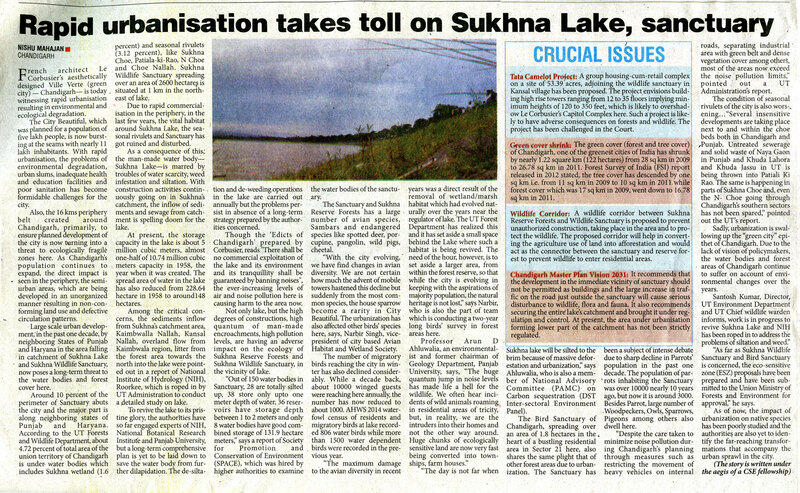 In Bilaspur, known for its rice production, the presence of mineral reserves in the neighbouring areas has led to an influx of industries, leading to consequent pollution. 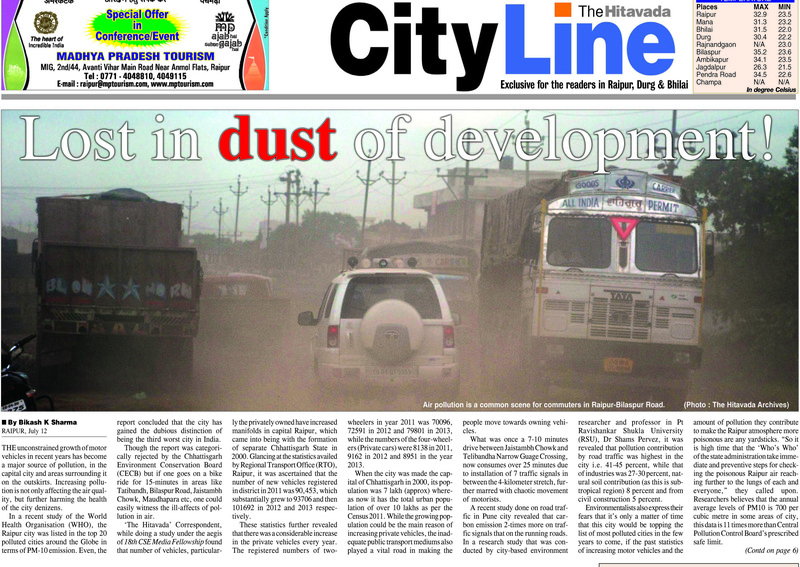 Lost in dust of development! 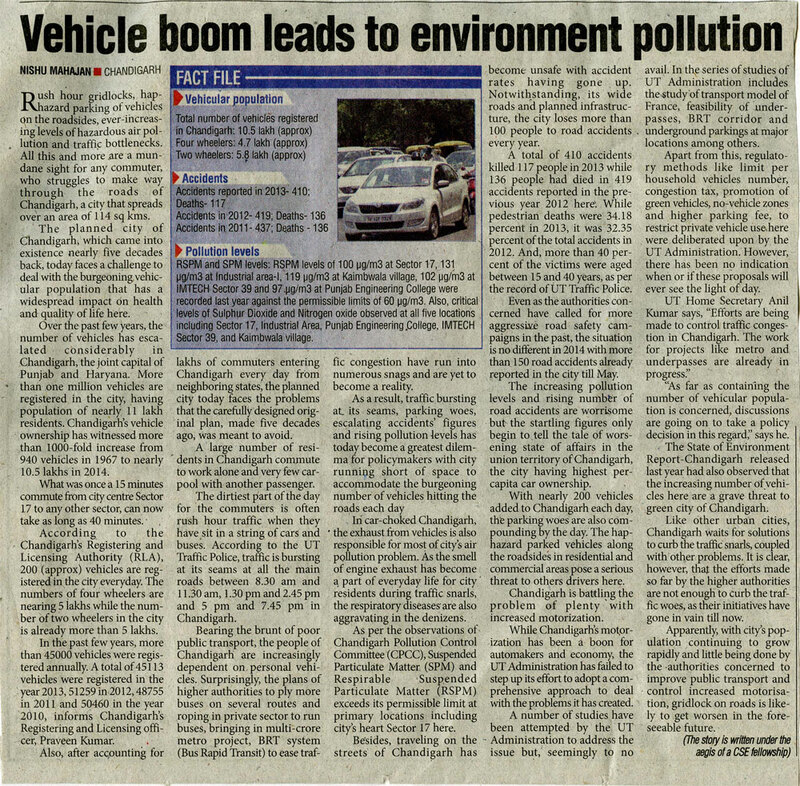 Proposal on: Escalating vehicular pollution in Chandigarh, challenges of streamlining public transport, impact of increasing population on the city’s ecology, wastewater management, possibility of rainwater harvesting and the city’s struggle to retain its original character. 1. 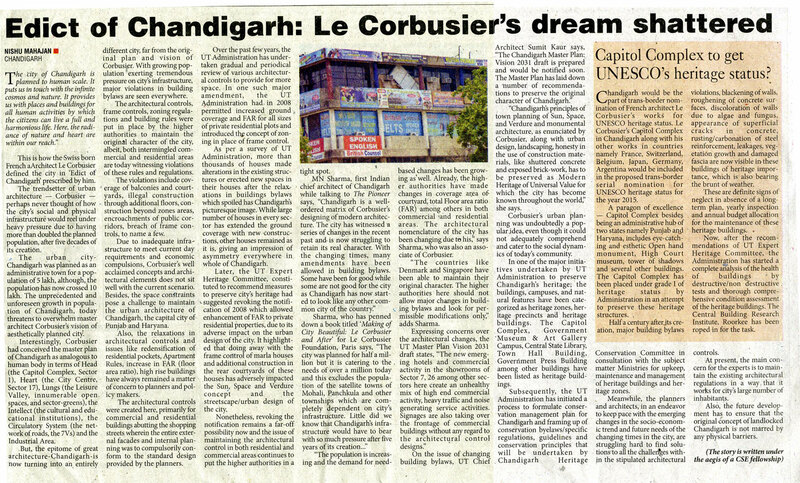 Chandigarh, designed by Le Corbusier, has been struggling to retain its original character. Although Corbusier’s architectural language of brise-soleils and other splendid elements were seen as a trendsetter for urban architecture, changes in original building designs over the years are calling into question the key environment-friendly architectural elements of the past. 2. 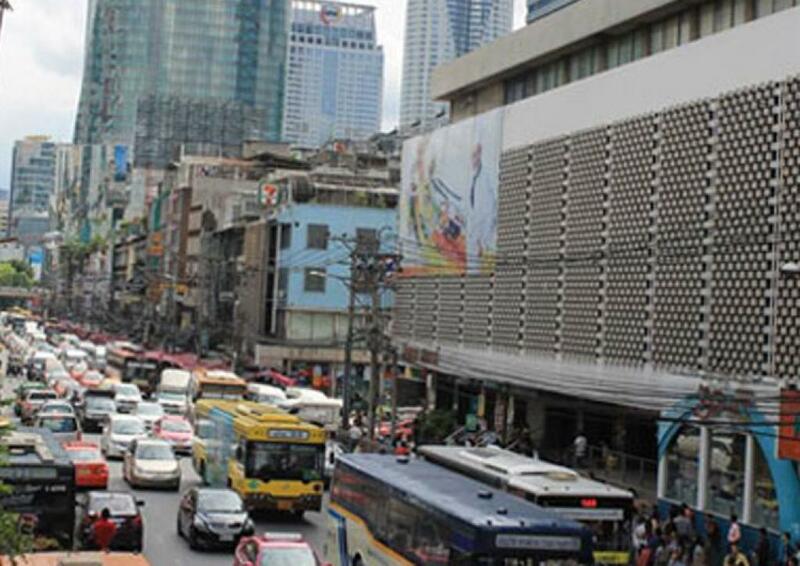 After five decades of its creation, the city is also reeling under escalating vehicular population and pollution and a host of other problems. Proposal on: History and evolution of traditional ‘Assam type’ houses which are earthquake-resistant, and the importance of keeping such structures preserved for future generations. 1. These houses are a mix of Tudor-Jacobean housing styles, patterns brought by the British, and Chinese designs. The Assam type house is an example of an intercontinental art which was formed to serve the local necessities optimally. These houses and buildings were not destroyed in the earthquake of 1950, but are now threatened by modern building styles. 2. As this unique form of house designing is dying, the focus will be to preserve the existing structures of this kind in Assam’s Jorhat, Nagaon and Kamrup Metro (Guwahati) districts. These structures deserve heritage status and their designs and patterns should be maintained with latest available technologies and materials for house construction in the contemporary world with modifications. I also propose to document all surviving Assam type buildings in Jorhat, Nagaon and Kamrup Metro (Guwahati), Shillong in Meghalaya and Itanagar in Arunachal Pradesh. 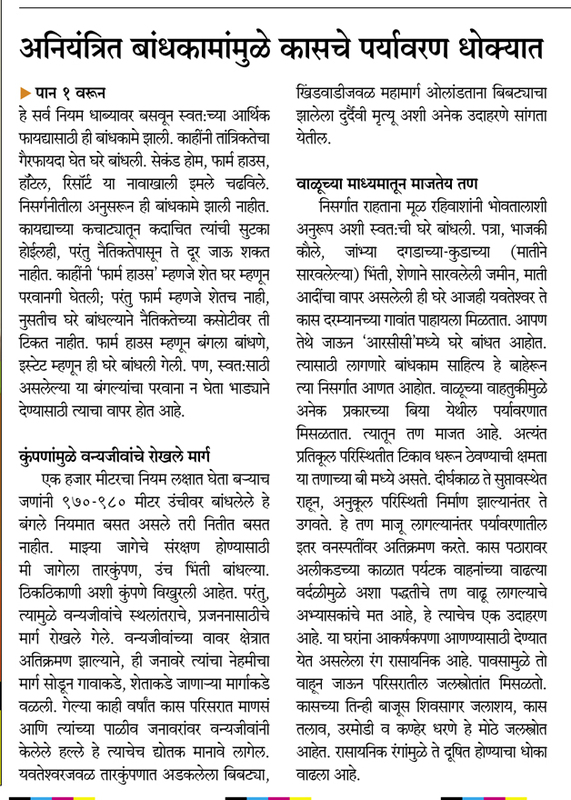 Proposal on: Eco-sensitive status of Satara, uncontrolled surge in tourism, legality and viability of constructions in the city and their environmental impacts. 1. 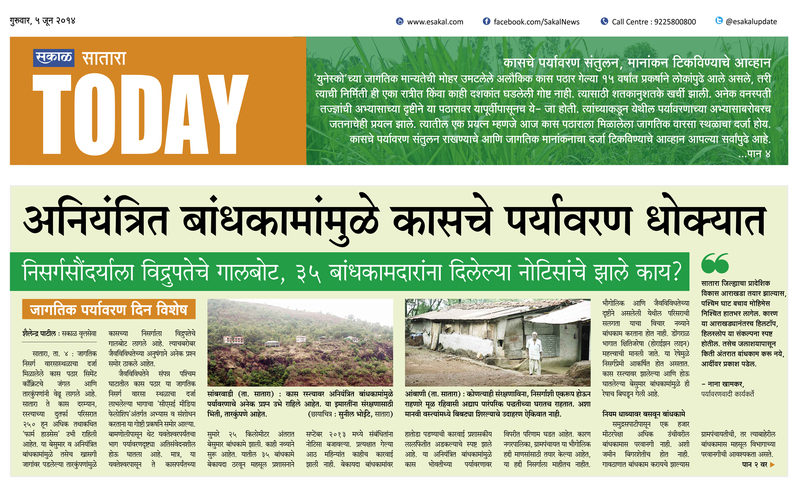 Satara lies in the Western Ghats, recognised as a Natural World Heritage Site by UNESCO. 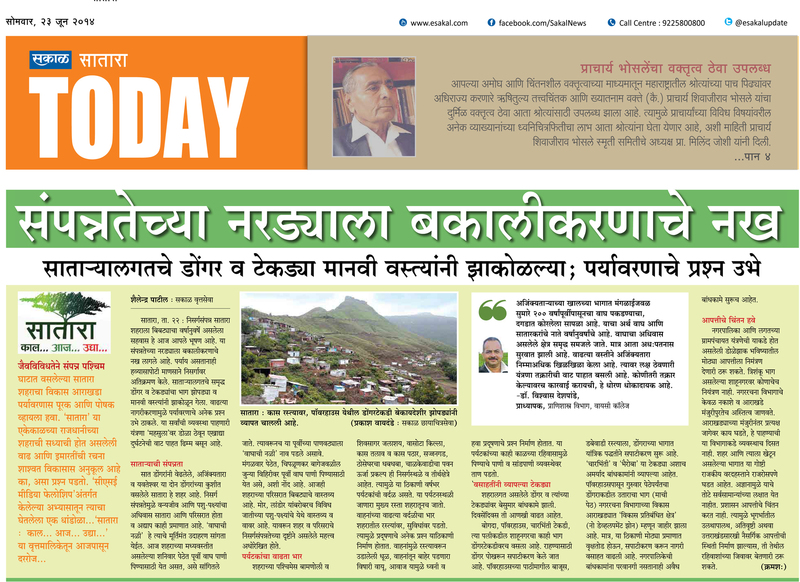 The recognition is in danger because today’s development plans are made without considering the rich biodiversity and climatic conditions. 2. 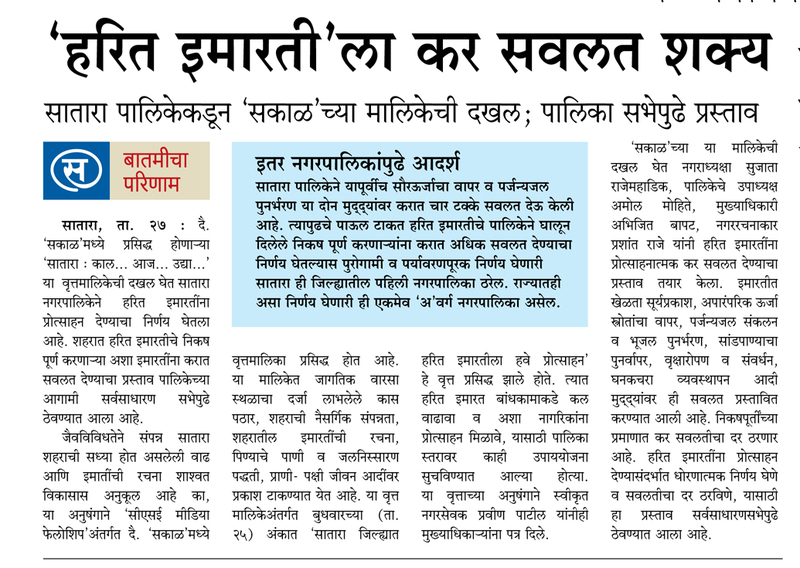 A huge surge in tourism is visible. This tourism is periodic -- for two-three months in the year, thousands of tourists visit the place, affecting the city and its resources. Hundreds of construction works are going on to meet the tourism demand. 3. Unchecked ‘development’ is harming the environment. The only people who are prospering are those who are economically sound. 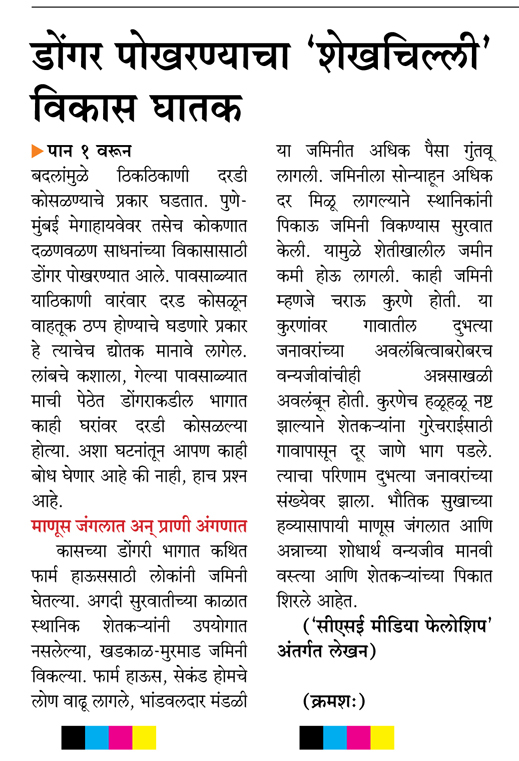 Proposal on: Kolhapur is experiencing rapid urbanisation, increase in population and deteriorating air quality. 1. 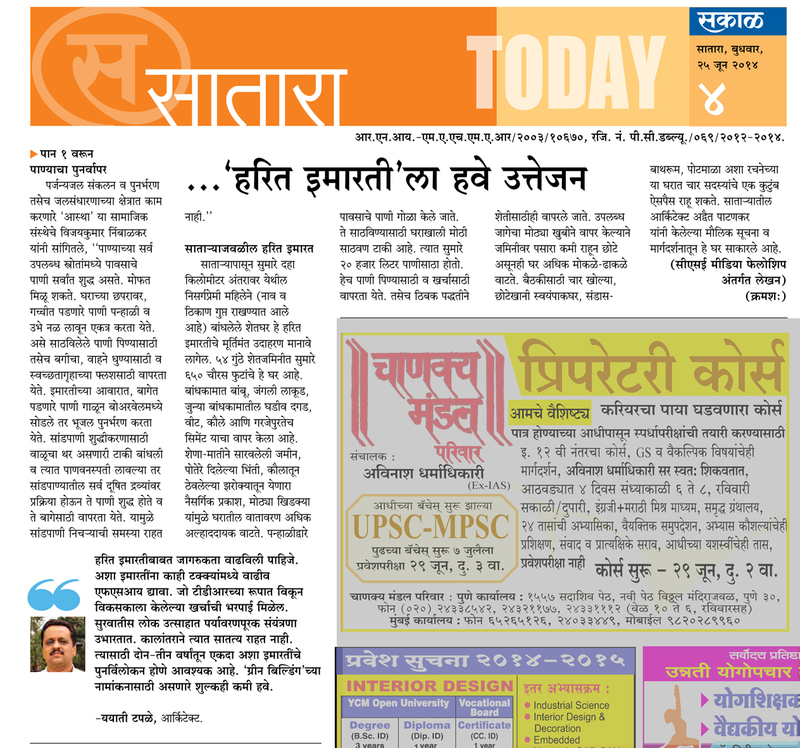 Kolhapur is an important city in Maharashtra located on the Pune-Bengaluru national highway. 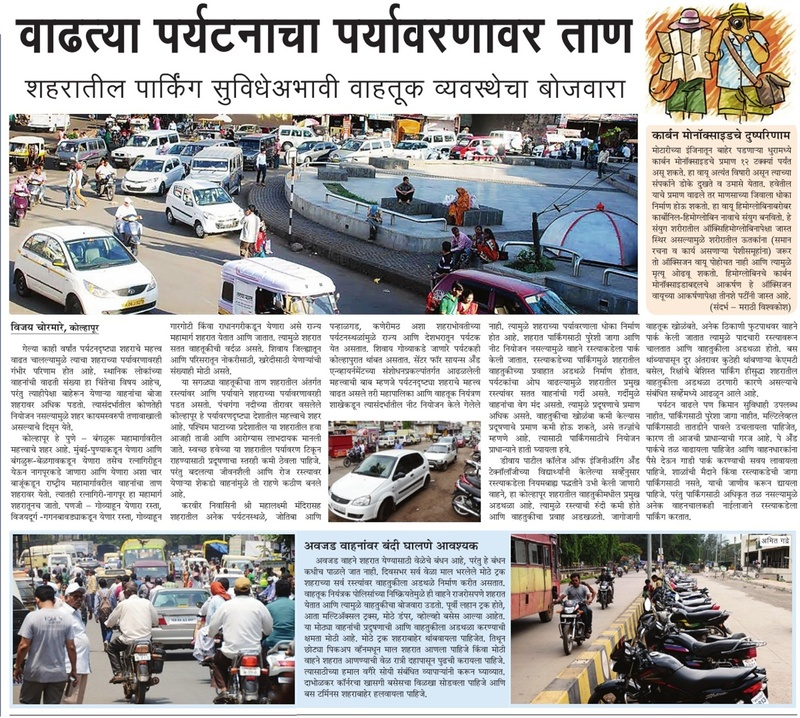 The city faces the traffic logjam as the major approaching roads from Mumbai and Pune, Bengaluru and Belgaum, Panaji and Konkan meet at its junction. The traffic flow from these places has strained the internal roads of the city. This spells trouble in the future – air pollution is going to be a major problem in coming years. 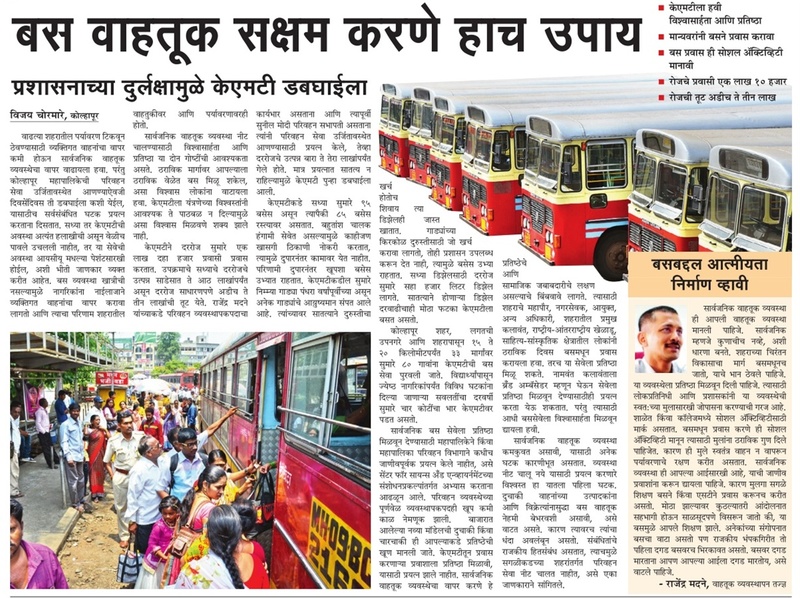 The city needs to increase use of its public transport. 2. Environmentally, the city has immense importance as it is located at the heart of the Western Ghats and along the natural beauty of the Panchganga river. The population is rapidly growing and the need of the extension of the boundary limits of the city is justified with increasing geographical limitations. 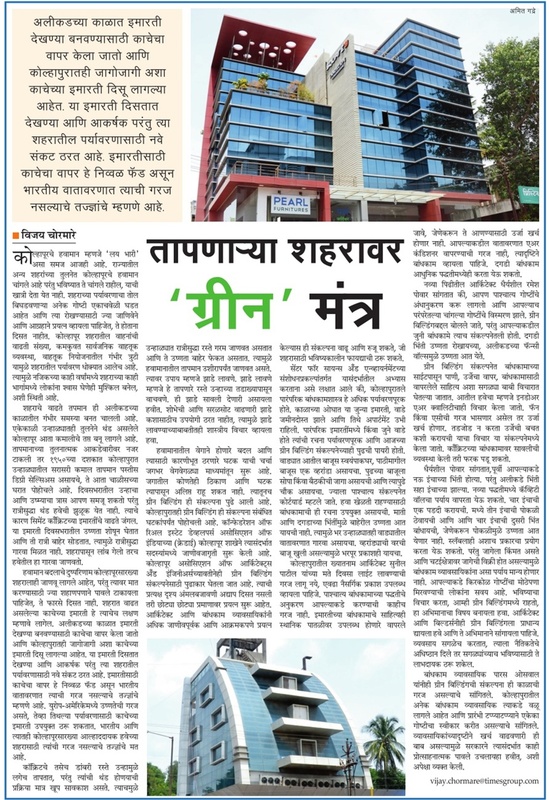 Owing to its rapid urbanisation it can be considered as a representative city which is near future to gain the status of metropolis. But this urbanization and population growth is stressing the environment. 1. On an average, 6,000 tonne of solid waste is generated in Kerala in its 999 panchayats, 53 municipalities and five corporations. As per a Supreme Court directive, all local governments in India with population over 10 lakh need to set up proper facilities for processing waste generated within their limits. 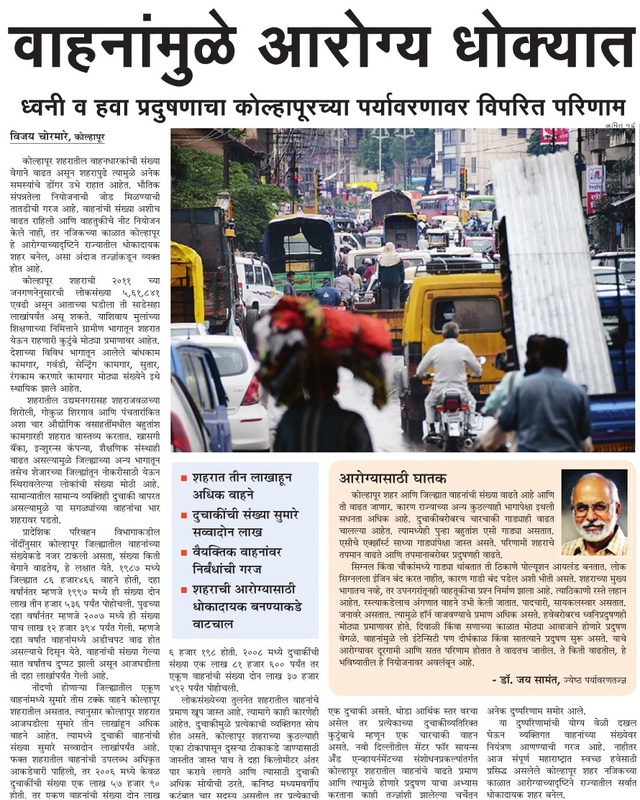 But a majority of municipalities in India have not implemented this direction. 2. Kerala is one of the few states in the country that took some measures to address this issue by launching an initiative called Clean Kerala Mission, in 2002. It focused on capacity building within local government institutions (LGIs) and enabling and preparing them for taking up the challenge of implementing solid waste management projects. There were efforts to achieve this goal with the participation of NGOs and community organizations such as Kudumbasrees. Proposal on: Rapid urbanisation of Leh due to tourism and strategic border demands, abandonment of local building practices, rampant abuse of building practices in urban areas of Ladakh and destruction of the social fabric -- examine sustainability. 1. Ladakhis have been vulnerable to calamities that have occurred around water. Glacial lake and cloud outbursts, increasing rainfall, and flooding of streams have all been occurring at alarming rates in the region in recent years. rampant abuse of building regulations, especially in growing urban areas of Ladakh. 3. Several areas of concentrated infrastructure have been developed over erstwhile flashflood zones or riverbeds of glacial melt water that retreated as they gradually dried up thousands of years ago. 4. Today, after four years of the 2010 tragedy, more concrete structures have come up along the same riverbeds hit by flashflood. There are now many ambitious projects to give Leh a fresh look of a full-fledged city with modern infrastructural facilities to meet the growing needs of rapid urbanisation in view of growing tourism and strategic border demands. It would be interesting to probe the development approach here as to whether local environmental and socio-cultural interests are being taken care of or not. 5. In recent years there has been phenomenal rise in traffic accidents and the rate of suicides has also seen unprecedented growth. The annual medical tour by doctors from AIIMS New Delhi to Leh saw increasing problems of depression and other mental diseases in Leh. These are related to the competitive nature of development taking place in an erstwhile society often considered as peaceful and contented inherent in its traditional institutions and value system that ensures social justice, co-operation, spirit of resource sharing etc.